The IFA has to be one of the world’s most premier consumer electronics and home appliances trade shows. The event takes place in Berlin, Germany and attracts top global brands and technology industry leaders. Similar to CES in the US, the event is a adult tech playground where attendees get to test and review new products before they hit the market. Samsung showed up in full force at this year’s show and brought plenty of new gadgets to the field. up gradually, when your body is at the best point in its sleep cycle. Samsung’s latest wearable device, the Gear S2, has high expectations. The round design was an intuitive innovation and formed to maximize the usefulness of a wearable. Available in two versions—the Gear S2 and Gear S2 classic—the device is incredibly customizable, with various watch faces and a wide range of colorful straps that can be easily swapped. And with the Gear S2 being Android-compatible, its promises to be the most versatile and functional wearable yet. The SmartThings Hub can turn any home into a smart home, connecting all sorts of devices on an open platform. People can turn on the lights or change the temperature even when away from home, as well as get notifications about movement or potential problems (like smoke or leaks). But the power of SmartThings goes beyond the home, too. 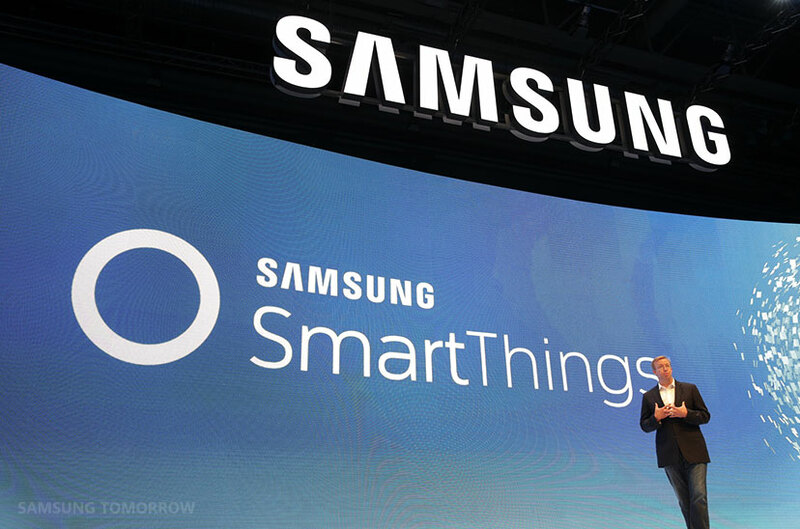 In conjunction with cross-industry collaborators, SmartThings is connecting devices and people across industries, from retail to enterprise, and healthcare to transportation, thus growing an open IoT ecosystem across the world. For instance, BMW cars can now directly integrate you with your home while you are driving, giving you alerts right to your dashboard. And thanks to the open platform SmartThings was built on, expect plenty more partnerships in the future. With the Car Mode for Galaxy app, you can use your smartphone or other wearable device to take calls, listen to music, get directions and even have your text messages read to you, all without taking your eyes off the road or your hands from the wheel. It makes the driving experience much safer and more convenient. Plus with Car-Net e-Remote with Volkswagen, you can use your new Gear S2 wearable to integrate with your car. Using your Gear S2, you can see where your car is parked, turn on the air conditioning on a hot day, even stop and start the battery charger for electric vehicles. Samsung’s new virtual reality headset, the Gear VR lets people dive into content like never before. With 28 types of TVs, ranging from 32 inches to 105 inches, Samsung now has the a TV for every home, from the smallest apartment to the biggest home. UHD and SUHD TVs offer four times the resolution of traditional HD TVs, so people are going to need content at that resolution, too. Samsung is working with the UHD Alliance to create standards for the industry—and they say final certification is nearly ready. In the meantime, Samsung announced Gamefly, a streaming service that offers the latest and hottest games in UHD, as well as agreements with many partners to offer movies, TV shows and other content in the stunning, UHD format. This year’s IFA saw many collaborations with the fashion industry to customize people’s phones and wearable devices and Samsung was no exception. 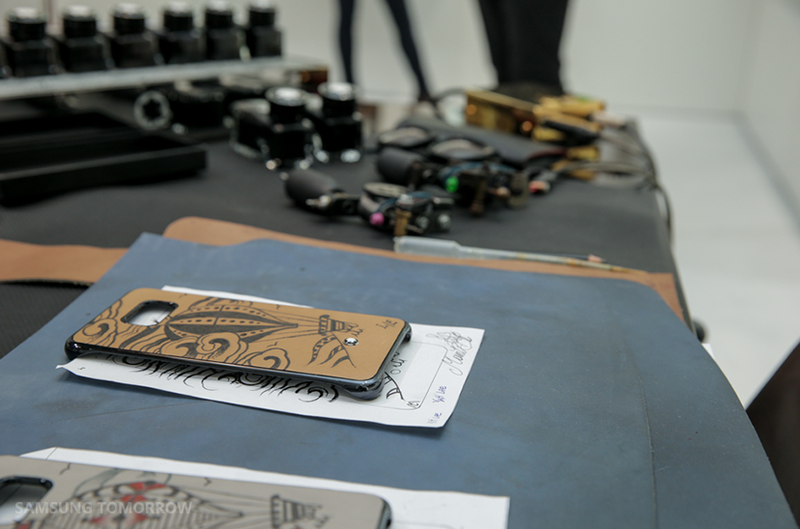 In partnership with Montblanc, there was an artist tattooing leather cases by hand for Galaxy S6 edge+ phones. And Swarovski is offering glittering, crystal-covered cases for Samsung smartphones to add a bit of bling to your world. 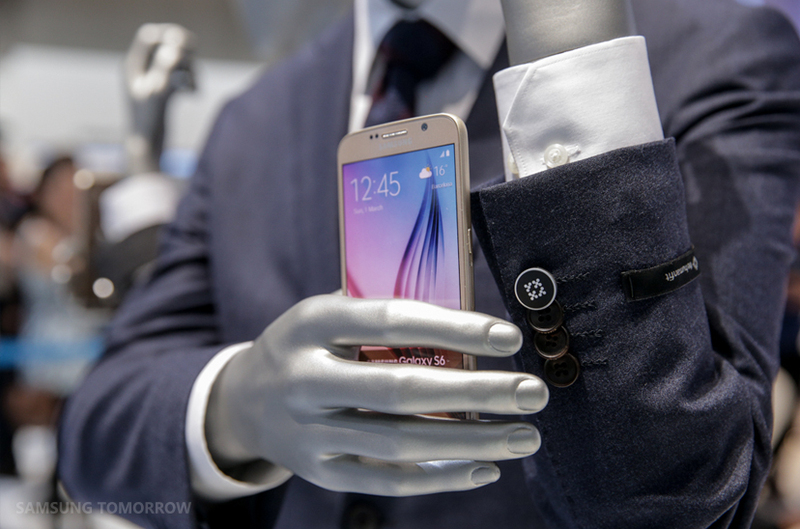 Samsung brought four wearable outfits to IFA, including a suit that has an NFC tag in the wrist, allowing users to change their phone’s mode easily and discreetly, without ever taking it out of their pocket.